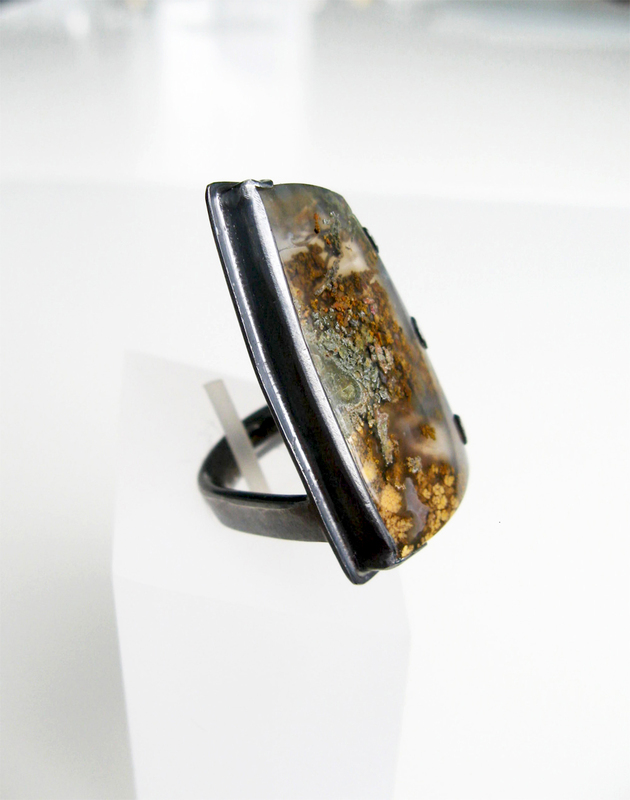 A dark, minimal setting shows off a hand-cut plume agate with fantastic gold-green moss in translucent chalcedony. This exquisite stone is like a beautiful glass-encased terrarium – a detailed miniature landscape. I made the silver bezel free and open with a cut-out back to allow light and space to suffuse the plumes within this gorgeous stone. There are also a couple of tabs to one edge. With wear the dark finish will slowly burnish and the silver will show through bit by bit, changing as you change.